This week, the authorities of the Republic and Canton of Geneva revealed the first video footage of a golden jackal in Switzerland. A camera trap caught the golden jackal on tape last month, in December 2018. Although there are records of golden jackal presence in Switzerland since 2011, this is the first video of this wild dog-like species. The golden jackal is rather unknown for many people. It is a species that has been present in Europe for decades, but never really a topic of attention. As the golden jackal easily adapts to new terrains, it finds itself a home in many corners of Europe. Over the last decennia, the population of golden jackals expanded rapidly north- and westwards from Southeastern Europe. The pioneering individuals have now been seen in practically every country in Europe. Last year, the first footage of golden jackals in France showed that expansion across the Alps was occurring as well. 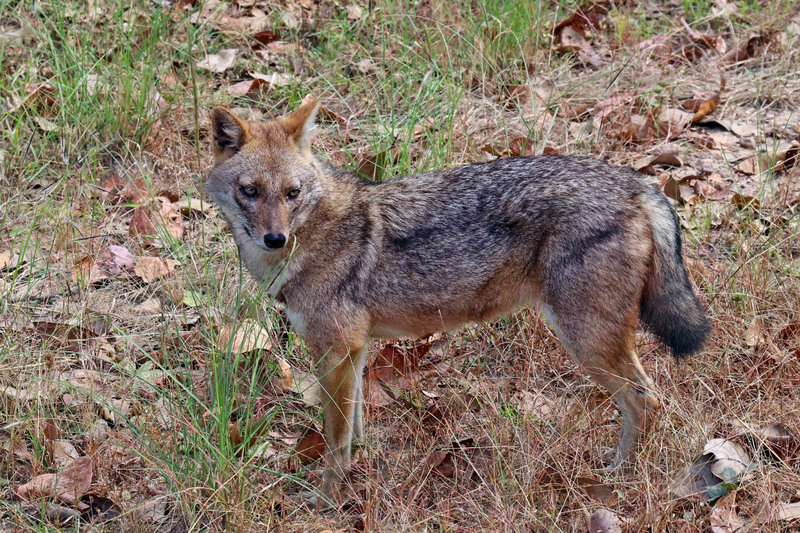 The golden jackal looks a lot like a wild cousin of the domesticated dog. It is the bigger brother of the fox, but smaller than the wolf. In fact, it often prefers to stay away from wolf territories to avoid competition for food resources. Unlike the wolf, the golden jackal scavenges a lot. With an abundance of human waste, it is not uncommon to see golden jackals close to human settlement. At this moment, the official population estimates state that there are 117 000 golden jackals in Europe. Just like many wild carnivores, the golden jackal also suffers from a bad reputation. Nowadays, especially in Eastern Europe, numerous golden jackals die from poisoning or poaching. This not only impacts the golden jackals directly, but also other scavengers indirectly. Yet, the golden jackal has an important role in the ecosystem. You could even say it is one of the best garbageman of nature there is. Since autumn 2017, people found records of golden jackal presence in the area near Geneva. It could be the that camera trap captured the same individual. If that is the case, it confirms that the golden jackal resides around the Lake of Geneva for a much longer time than just for a temporarily visit. The local authorities welcome the new inhabitant, and are looking forward to seeing what its next move will be. In Upper Austriqa just recently two golden Jackals habe been hunted without without any consequences. Some occur since thirty years, but no tolerance from hunting Lobby and federal Government – despite EU-regulations..